Deborah is a joyful, smart and eager child. You wouldn’t know it by talking to her but she’s experienced a lot of hardship in her five years. Moments after Deborah’s birth in 2011, the family noticed her facial deformity. It was something they had never seen before – a condition they didn’t know existed. Deborah and her family came to the Operation Smile medical mission last month in Ho, Ghana, hoping for a spot on the surgical schedule. I sat down with Justin, Deborah’s father, who shared with us their family’s experience of having a daughter who was born with a cleft lip and cleft palate. Deborah’s mother, Afere, was heartbroken by the situation that was unfolding. Meanwhile, the sister-in-law was trying to convince the family to bring Deborah to the town so that she can take the child to a priest to do away with her – to kill her – because of her claims that the child is not a normal human being. "During this time, I felt very sorry and worried to myself that I had given birth to this child." Everything changed when one of the nurses from the hospital convinced the family that, contrary to what they thought, a cleft palate is a birth defect, which can be corrected through surgery. The family felt a glimmer of hope. They stayed in the hospital for two weeks while the nurses showed them how to take care of Deborah the best way possible. The following December, they came to an Operation Smile medical mission, went through the medical evaluation process, and Deborah was put on the surgical schedule for the following week to receive surgery on her cleft lip. When she was going into the surgery we were not nervous. We had seen the surgery outcome before and we knew she was going to be OK," said Afere. 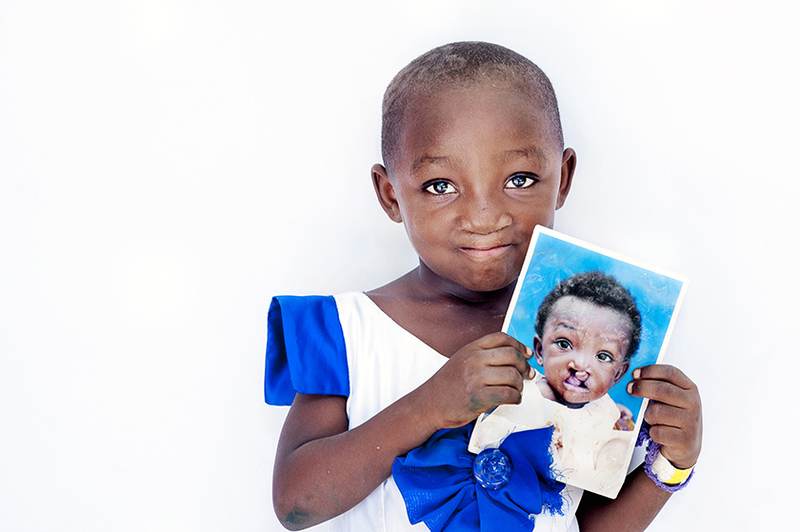 "When we saw Deborah after the surgery, I was so happy! I started singing and singing, thank you to God and to Operation Smile." Justin realized he needed to take a stand. They decided to take Deborah to the sister-in-law’s village to make a point to the community that there is a solution. “I used this opportunity to advise people on what Operation Smile can do,” said Justin. When they arrived at their sister-in-law’s village, dozens of people had gathered and were waiting to see Deborah. Justin said when they saw Deborah, they did not believe she was the same child. Once the family showed them Deborah’s photo and pointed to her scar, they finally began to believe Justin and his wife. I believe it is my duty to share our experience with other families. If I see someone with this problem, I keep advising them, I keep telling them that it will be ok.
Justin now acts as an advocate for Operation Smile. Last April, during another mission in Ghana, he organized a group of families from his community to come to the medical mission in Cape Coast. 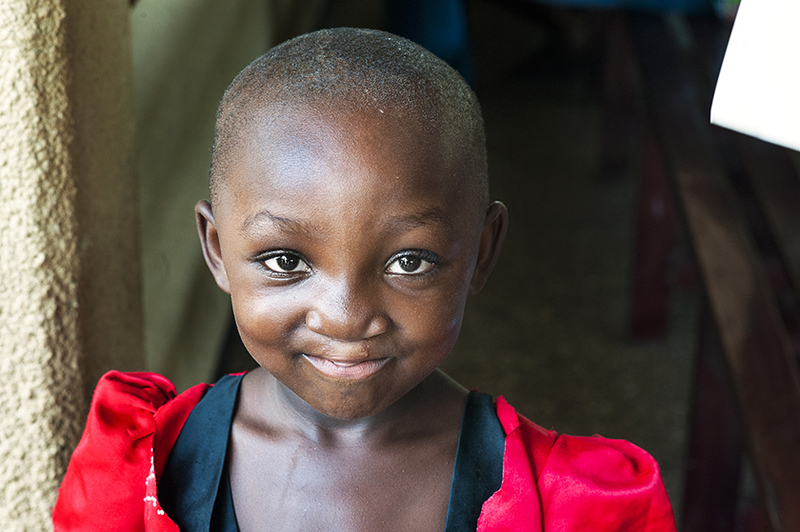 Unfortunately, due to the high number of need for cleft care in Ghana, no one from his community was selected for surgery – even Deborah – who still needed surgery on her cleft palate. “I keep telling them not to worry, that Operation Smile will return. They know what they are doing and they will attend to everybody eventually. The patient coordinator asked me to talk to people who were turned away, who were rejected, and I was able to make them feel better,” said Justin. Six months later, they are back at another medical mission, and Deborah was placed on the surgical schedule to have her cleft palate repaired. The family is thrilled. They know Operation Smile will take good care of Deborah, and all the other families at the medical mission. Justin hopes Deborah grows up to become a medical doctor. He wants her to be able to help others. I want to say thank you. I was worried when I saw so many people at Cape Coast not being selected. When Operation Smile has more donors, they can attend to even more people. There is a very big need of care in Ghana. People are still calling me, asking me if there is another chance. I told them there is always another chance. Operation Smile will come back over and over. Justin is so proud of the girl that Deborah has become. He says that she likes books, singing and reading. She loves playing with other children. She even came and recited the regions in Ghana to other people at the patient shelter. In her kindergarten class, everyone loves her. She is so smart and fast, and very fond of asking questions.